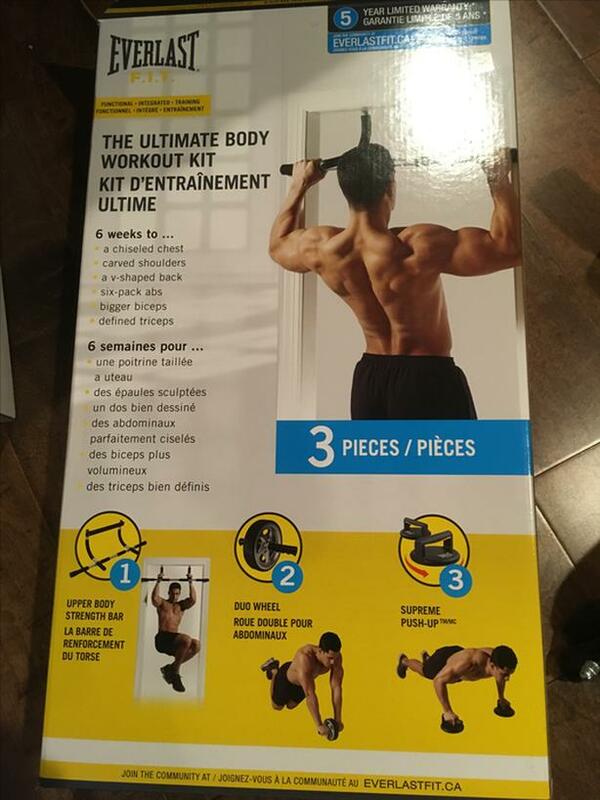 Includes chin up bar, ab wheel and push up handles. In very good condition. Pick up only. Located close to Uvic.